The seeds of American rocket science sprouted haphazardly in a climate of apathy and ridicule. Due to a lack of interest in research and development before World War II, America's early rocket pioneers found few, if any, financial sponsors. Thus, European rocketeers took a substantial lead in rocket science. Robert Goddard, the earliest and arguably the greatest American scientist in rocketry, was born in 1882. Inspired by the writings of H. G. Wells, Goddard began experimenting with solid-propellant rockets during World War I and, with the help of the Smithsonian Institution,l published his first thesis on rocket propulsion, "A Method of Obtaining Extreme Altitudes" in 1919.2 He began experimenting with liquid rocket engines in 1923. As World War II ground to a close, President Harry S Truman was faced with a decision that was to have far graver consequences for the postwar world than German V-2 development. This was the decision to use the atomic bomb in an effort to end the war against Japan quickly and at a lower cost in American lives than an invasion would require. The atomic bomb was to have a significant effect on the cold war between the Western Allies and the Soviet Union after World War II. The cold war manifested itself as a series of political, military, and propaganda confrontations characterized by limited wars, wars by proxy, the nuclear arms race, and the threat of nuclear war. In the end, the cold war encouraged competition, both friendly and unfriendly, and helped accelerate the pace of the coming space race. As a result of such expert testimony, US ICBM research stopped in 1947. The argument was strong. No existing rocket could carry the atomic bomb of the day which weighed 10,000 pounds. Also at that time there was no way to guide such a weapon to a target halfway around the world.22 Experts said it would take at least 10 years to develop the systems necessary to make such a missile practical.23 The Air Force opted to design and test a number of cruise missile weapons that could carry the "bomb" better and farther with existing technology.24 Of these, only the Snark cruise missile reached the deployment stage in the late 1950s, and the Air Force deactivated it in 1961 after the Atlas ICBM came on line.25 In the meantime, development continued on shorter-ranged weapons, while the Atomic Energy Commission (AEC) tried to make nuclear weapons smaller. At the time of the 1952 presidential election, technology was changing rapidly. The testing of the first US hydrogen bomb on 1 November 1952 and the first Soviet H-bomb detonation the next August changed the outlook for ICBM development. The new H-bomb, smaller and more powerful than the A-bomb, could be carried by a smaller, less accurate rocket.29Due to this breakthrough, the US restarted its ICBM programs in 1954. As these programs started again, concern about a thermonuclear-armed and potentially hostile Soviet Union became more intense. Because of the closed nature of the Soviet state, little concrete information was available on its state of readiness, military capabilities, or intentions. US military planners could not even draw up a reasonable war plan because they did not know the location of Soviet military targets. Lack of solid information on Soviet intentions meant that a misunderstanding might trigger a nuclear war, while the same lack of knowledge left the US vulnerable in a surprise attack. By late 1955, the changing political and military situation relegated Vanguard to the back burner. To match newly revealed Soviet missile programs, Eisenhower made the US ICBM programs a top priority, and to gain intelligence on the Soviet R&D effort, did the same with the US spy satellite program. 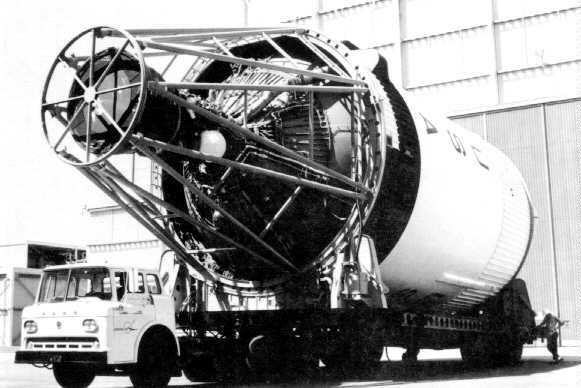 Meanwhile, the Glenn L. Martin Company (now Martin Marietta), the Viking builder, logically became the Vanguard contractor.38 It also got the contract for the Titan I ICBM shortly after the Vanguard program started. Martin moved its best people to the military project leaving the Vanguard program with little support.39 Vanguard became a bureaucratic orphan because the armed services had little interest in a nonmilitary project. At this time, the Soviets were making considerable headway with a missile development program drawing heavily on German expertise obtained after World War II. Years ahead of US expectations, the Soviets created the world's first ICBM, the SS-6 Sapwood. Development of this missile began in 1955 as an attempt to redress the perceived arms imbalance brought on by US preponderance in manned bombers.41 Designed before the technology breakthroughs, the primitive, first-generation nuclear bomb the SS-6 was to carry dictated its immense size.42 News of the Soviet missile tests leaked to the West and caused the first twinges of what became the missile gap scare. After a successful test flight on 3 August 1957, the Soviets announced that they alone possessed an ICBM.43 However, the missile did not reach initial operational capability (IOC) until 1959, by which time US ICBMs had rendered it obsolete.44 Although some Western reaction to these events was understandably grim, most experts did not take the threat seriously. This view changed radically on 4 October 1957 when the Soviets stunned the world with the launch of Sputnik I, the world's first artificial satellite. 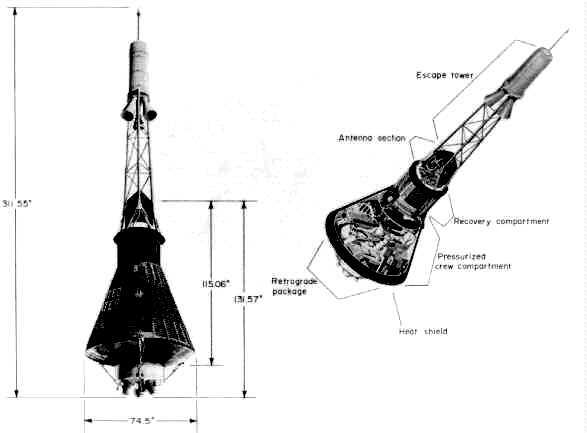 Since the Soviets had no aversion for interlacing the military with space, they used their new SS-6 ICBM as the booster allowing faster development than with the US's "from scratch" approach. Shock swept across the US, even though the Soviets had made numerous claims that they were very nearly ready to launch their satellite. Now many scientists, engineers, and military officials were convinced the rocket that put the 184-pound Sputnik into orbit had serious military potential. The launch seemed to validate Soviet claims of a massive military launch capability including ICBMs. If nothing else, Sputnik aided Eisenhower' s attempts to legalize satellite overflight since no nation protested the overflight of its territory by the Soviet satellite. 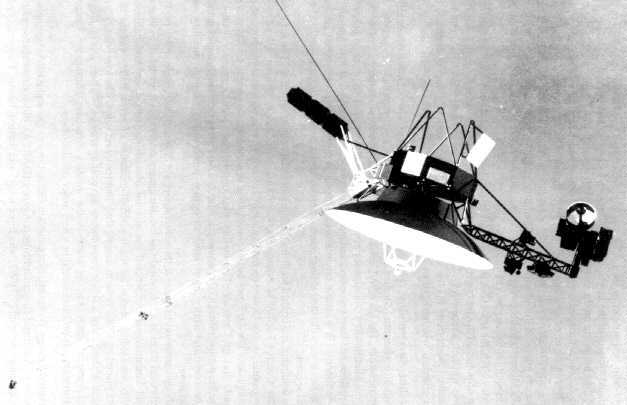 The launching of Sputnik pushed Vanguard to the forefront of US public attention while it was still an underfunded and highly experimental system. Without the launch of Sputnik, the subsequent failure of Vanguard would probably have left little impression on the nation. Unfortunately, because of the Soviet success, the country expected Vanguard to work immediately. On top of these expectations, the media whipped the public into a frenzy over the Sputnik launch.45 Then a 9 October White House press release, misinterpreted by the press, seemed to indicate that the December Vanguard test flight was an operational launch when the statement said it was just another test.46 Finally on 3 November, the Soviets launched Sputnik II, the first bio-satellite, with the dog Laika aboard. The 1,200-pound Sputnik II was "proof" that the Soviets possessed a fully capable launch system. Thus expectations for Vanguard ran even higher. The Sputnik launch and the Vanguard fiasco were tremendous blows to US prestige as predicted by von Braun in his 1954 "A Minimum Satellite Vehicle." These events alarmed the US public who pressured the government for action. Eisenhower, bowing in part to congressional and public pressure, recognized the need for a centralized space program and policy. Moreover, the IGY events were major contributors to the growing missile gap scare because of concern among US military and political leaders that they had drastically underestimated Soviet potential. The more tangible reactions were accelerated--US ICBM programs, expanded U-2 overflights, and the beefed-up spy satellite R&D programs. Surveillance aircraft also flew into Soviet airspace, but before the mid-1950s these aircraft could not penetrate deep enough into the USSR to see facilities far from the border and generally could not fly high enough or fast enough to avoid detection and interception by Soviet fighters.61 Thus, the Air Force began a new R&D program for a specially designed, high-altitude strategic reconnaissance aircraft, the U-2. Built by Lockheed, it first flew on 4 August 1955. The U-2 could fly above 80,000 feet, well above the service ceiling of all contemporary fighters.62 However, even before the U-2' s first flight, the Air Force had begun serious work on reconnaissance satellites under Project Feedback. This missile controversy pitted USAF Intelligence against the Central Intelligence Agency in a debate over Soviet capabilities. These organizations made differing estimates of Soviet missile production and the number of operational missiles. Moreover, none of the US intelligence services knew where the Soviet factories were, much less their capacity for manufacturing the necessary electronics and other "high-tech" materials required for large-scale missile production.66Because of the lack of concrete information, US intelligence agencies turned to their best performer, the U-2. The Navy was the first service to become interested in navigation satellites. 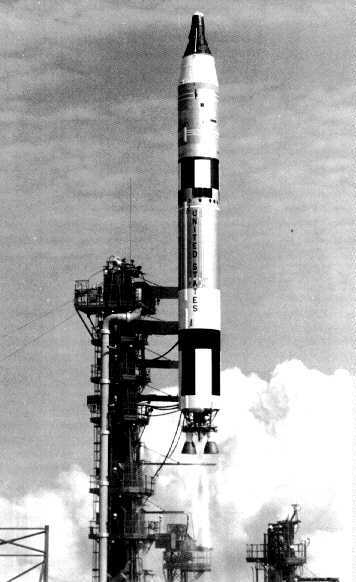 The first launch of the experimental Transit lA satellite in September 1959 initiated the world's first military navigational satellite system. Use of Transit to fix locations enabled Polaris submarines to improve the accuracy of their missiles to about one mile. The Air Force's satellite interceptor (SAINT) was the first US antisatellite program. SAINT developed from ARDC studies on defense against hostile satellites in 1956. ARPA took over the project in 1957 under ARDC oversight. 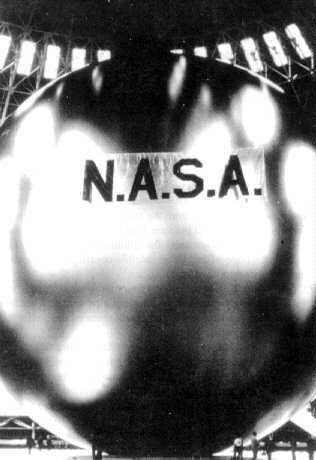 On ll June 1959, the Air Force let a contract to RCA for research into ASAT techniques, and the Air Force Ballistic Missile Division began development on 20 August when DOD gave final approval for full-scale development of SAINT. Authorized under 496L, the Naval Space Surveillance (NAVSPASUR) system has three transmitter sites and six receiver sites dispersed at equal intervals along the 33d parallel in the southern United States. NAVSPASUR projects a detection fence of radio frequency energy far out into space to detect and track all objects passing over the United States. This continuous wave detection radar provides precise satellite position data.99 With its processing center at Dahlgren, Virginia, NAVSPASUR forms an integral part of the space detection and tracking network. 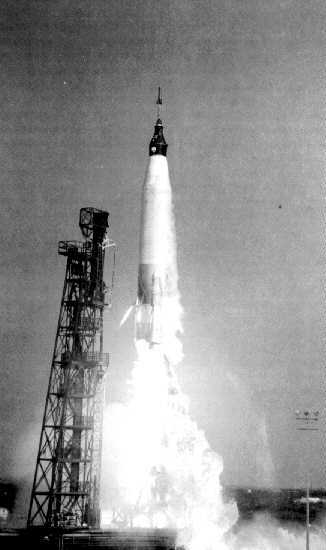 Within months after the national election, the Kennedy administration began to withhold information on military space systems. In November 1961, the administration issued an order that there would be no press coverage of military launches, no published orbital characteristics, and no government officials would even admit that many of the programs existed. The reasons were obvious--to prevent the Soviets from learning anything that might help them counter the satellites, to keep from embarrassing the Soviets by publicizing US space achievements (thereby causing the Soviets to attempt to shoot down US military systems), and to avoid compromise of these important satellites. After November 1961, the government did not announce launches or vehicle and program names.105 In time, the US canceled the early programs and deorbited and replaced the satellites associated with them with more sophisticated and capable, though more clandestine, systems. The military programs sank into obscurity, known only to a select few, while NASA's up and coming manned programs seized and held the spotlight for the next decade. During 1963 space systems played a tremendous supporting role in the Cuban missile crisis. Although they did not locate missiles in Cuba, US satellites told Kennedy that the capabilities of Soviet nuclear forces were quite limited. Knowing the threat enabled Kennedy to call Khrushchev's bluff. Soviet counterpart systems told Khrushchev that the US was positioning forces to attack Cuba and that the US Navy was moving into position to stop Soviet ships. The message was clear: The US meant business. The Soviets backed down, and the crisis was averted. Fractional Orbit Bombardment System. In the early 1960s, the Soviets needed a way to overcome the West's geographic advantages (forward bases in Turkey, Europe, and Asia from which shorter range missiles and bombers could attack the USSR). The Soviet attempt to place missiles in Cuba would have been a partial remedy. When the Cuban venture did not go as planned, they moved to other technological possibilities. The Soviets demonstrated the technology necessary to orbit a space vehicle and then land it in a specific place with the Vostok launches. It was thus logical to assume they could place nuclear weapons in orbit and return them to Earth at any time and place.140 Khrushchev made this suggestion in 1961, but on 15 March 1962, as part of the rhetoric proceeding the Cuban crisis, he made yet another, more ominous suggestion. As new strategic threats appeared, the missile warning and spacetrack network expanded to meet these challenges. BMEWS grew to include three sites: Clear AFS, Alaska; Royal Air Force Fylingdales Moor, England; and Thule, Greenland. These BMEWS sites provided an unavoidable detection fence across the entire northern approach to the North American continent.144 For spacetrack, the Air Force built a totally new type of system, the AN/FPS-85, a prototype phased array radar at Eglin AFB, Florida. The radar reached initial operational capability (IOC) in 1968 with the 20th Surveillance Squadron (SURS) specifically assigned to do the space surveillance mission.145 Looking to the south, the AN/FPS-85 can see up to 80 percent of all the objects in space each day. This system greatly enhanced NORAD' s space surveillance capability. While NASA geared up for its first manned space launch, the Soviets again beat the US into space. On 12 April 1961, the Soviets launched Vostok 1 with cosmonaut Yuri Gagarin aboard. He made one orbit and landed safely. Here was a blow to US prestige on a par with Sputnik. The situation seemed to galvanize the American public. On 31 January 1961, a chimpanzee named Ham survived launch and reentry aboard the Mercury Redstone 2 (MR-2) rocket. Had a man been aboard this capsule, the US would have beaten the Soviets by two and one-half months. On 5 May 1961, US Navy Commander Alan B. Shepard became the first American to go into space with a suborbital flight aboard MR-3. Twenty days later, President Kennedy took advantage of the ground swell of emotion after Shepard's flight to call for putting a man on the moon by the end of the decade.147 The loss to the Soviets and the immediate US response made the American people willing to support a program of Apollo's magnitude. 1. Each nation could have no more than 15 ABM launchers at test ranges for R&D purposes (Article IV). 2. Both parties agreed not to develop, test, or deploy ABM systems or components that are sea-based, space-based, or mobile land-based (Article V). 3. Neither nation could have rapid reload capability (Article V). 4. Both parties agreed not to give missiles, launchers, or radars--other than ABM missiles, ABM launchers, or ABM radars--the capability to counter strategic ballistic missiles and not to test them in an ABM mode (Article VI). 5. In the future there would be no deployment of early warning radars for strategic missile attack except for those along the periphery of the national territory and oriented outward (Article VI). 6. Both countries may use national technical means of verification to assure compliance as in the IA (Article XII). 7. The treaty, of unlimited duration, is subject to review every 5 years (Article XIV). Under the 1974 Protocol, each nation could build and operate only one ABM system to protect the national capitol or one of its ICBM fields. This single ABM system could contain no more the 100 launchers and no more than 100 ABM interceptors. Missile Warning and Space Surveillance Network. Reacting to impending limits set by SALT on their land-based ICBMs, the Soviets expanded their nuclear missile submarine fleet dramatically. In response, DOD upgraded and enhanced the SLBM warning network. The Air Force installed eight mechanical, pulsed conical scan tracker radars, designated AN/FSS-7, at strategic points along the US coast. These radars were on-line by April 1972. Also in 1972, the Air Force' s AN/FPS-85 space surveillance radar at Eglin AFB, Florida, received computer software changes to convert the system to the SLBM detection mission in addition to its spacetrack mission. Although the enthusiasm for the space program was high and NASA would land on the Moon five more times in the next two years, the first Moon landing was the high water. There would soon be drastic NASA budget reductions. Apollo/Soyuz Test Program. 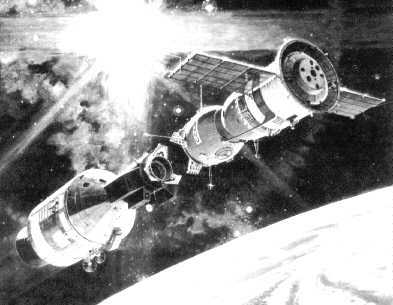 Limited US and USSR cooperation in space occurred during the 1960s. The cooperation consisted of information exchange between the space agencies. With improved relations in the 1970s, the possibility for greater cooperation grew. 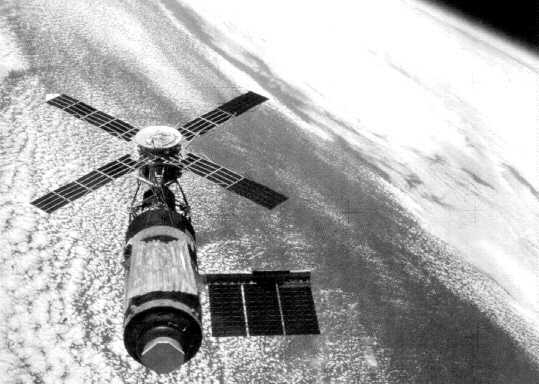 Talks on the subject of astronaut/cosmonaut safety and use of common docking technology began as early as 1969, but specific joint working groups were not formed until October 1970. At the Moscow Summit in May 1972, the US and Soviet Union signed the five year Agreement on Cooperation in the Exploration and Use of Outer Space for Peaceful Purposes, the SALT IA, and the ABM treaties. The agreement scheduled a joint US/USSR space flight in 1975. This agreement was the beginning of the Apollo/Soyuz Test Program (ASTP), which developed rescue systems for saving astronauts and cosmonauts in emergencies in space (like Apollo 13 and Soyuz 11). Joint task groups designed and built a compatible docking module with the Soviet-style docking apparatus on one end and American type on the other. Both nations launched vehicles on 15 July 1975. On 18 July, Apollo 18 docked with the Soviet Soyuz 19 spacecraft. The two spacecraft remained docked until 21 July and carried out joint scientific and medical experiments. Although the joint flight was a success and added measurably to the US and Soviet relationship, it remains the only joint US/USSR spaceflight venture to date.177 ASTP was the last US space flight for almost six years. On 11 May 1978, Carter signed the Presidential Decision on National Space Policy 37 which laid out the founding principles of US space policy. Carter' s space policy principles included US sovereign rights over its space objects and the right of passage into and through space. A new principle was added, fueled by Soviet testing of their ASAT system--the right of self defense in space. This principle would bring about a major change in US space policy because it recognized space as a possible war-fighting medium. The presidential memorandum directed DOD to formulate plans to use civil, military, and commercial space assets in wartime or other emergencies as determined by the president. DOD was also to take actions to make US space systems survivable in the event of a conflict and to develop an operational ASAT. DOD was to create an integrated attack warning, notification, verification, and contingency reaction capability for space defense. The US would continue to exercise restraint in the use of space weapons and recognized that negotiations on the subject of space arms control were desirable. As a result of this rethinking of the traditional roles of space systems and the reevaluation of the medium, the influence of the R&D world of Air Force Systems Command in space matters began a slow but steady decline. At the same time, the space operations world increased its power and influence as war-fighting capability (survivability, reliability, responsiveness, etc.) became the new order of business for space systems. The Air Force dropped the ground-launched option which used a modified Minuteman III ICBM in favor of air-launch from an F-15 fighter. 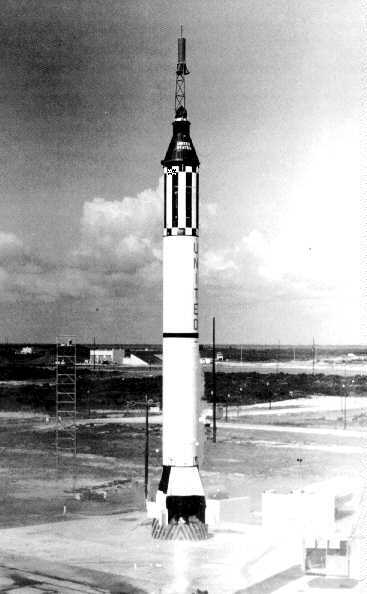 The air-launched booster was a Boeing short-range attack missile first stage and a Vought Altair III second stage. Air-launch provided the advantages of flexibility, mobility, and "more attacks per day." MHV's biggest advantage over the old Program 437 and 505 systems was that it did not have to wait for the target to come to it. Although measures to improve the survivability of US space assets made sense, the US implemented them in a piecemeal fashion. Budgetary constraints were much to blame. Payload limitations also restricted the amount of satellite redundancy and hardness. Probably the leading reason for the haphazard treatment of survivability was the low priority placed on space systems despite their unquestioned value. The low priority was the result of the lack of a single constituency advocating change.184There was no single unified view of space and its place in the military structure. During the Reagan administration this problem would be given major consideration. Another improvement was the conversion and integration of DARPA's space object identification facility on the Hawaiian island of Maui with the Air Force's planned ground-based electro-optical deep space surveillance (GEODSS) sites.190 The GEODSS system was the successor to the Baker-Nunn camera system.191 MIT Lincoln Lab developed and tested GEODSS at Experimental Test Site 1 at Socorro, New Mexico, near WSMR.192 GEODSS used powerful telescopes, electro-optic cameras, and high-speed computers to gather tracking and identification data on deep space satellites. The Space Shuttle Program continued to be NASA's chief area of interest when the Carter administration took office in January 1977. NASA tentatively scheduled the first orbital test flight for March 1978. In February 1977, NASA began the first of the STS approach and landing test program flight tests with the shuttle Enterprise at the Dryden Flight Research Center at Edwards AFB, California. A modified Boeing 747 airliner carried the shuttle piggyback. The first free-flight occurred on 12 August 1977 with astronauts Fred Haise and Gordon Fullerton aboard. The last such flight was on 26 October 1977.195 Enterprise never went into space. The DOD space policy review contained "no new directions in space weaponry. ''201 However, deterrence was now the primary role of the US ASAT program despite the fact that many experts said that this role was unworkable in light of the disparity in dependence and launch capacity between the US and USSR. 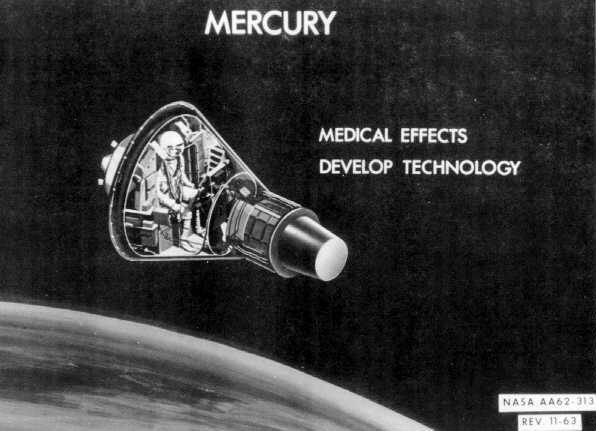 DOD would explore technological avenues for prompt space support and projection of force in and from space and to assure free access while denying the same to the enemy.202 As such, NSDD-42 laid the groundwork for use of space as an arena for military operations by asserting the right of self-defense, and it opened the way for development of assets to fighting in and from space. From 1983 to 1987, US position on the Strategic Defense Initiative and the ABM Treaty was that Article V of the treaty limited all SDI work to research, that is, lab work and tests of subcomponents. This interpretation limited the primary debate to what constituted testing of components (which was prohibited) and what constituted testing of subcomponents (which was not). All other debates centered on what constituted research and development and employment of dual-use technologies (such as an antitactical missile or antiaircraft missile used as an ABM). In 1988 the DOD took a different slant and employed a lawyer to look at the legal side of the question. Thereafter DOD proposed a new interpretation. First of all, Article V applied only to systems and components that were current at the time of the treaty negotiations. Agreed Statement D, which prohibited deployment but did not address testing and development, governed new technologies. The complication in all this was that the US had tried to ban futuristic technology during the original ABM negotiations, but the Soviets were unwilling to agree to such restrictions. The Reagan administration now proposed that since the Soviets had not agreed to these restrictions, the US was not bound by these restraints either. This reasoning left the US free to deploy anything it wanted in a full-scale test. Politics became the only constraint on US actions. The US did not take advantage of this new interpretation due to European and congressional protests. In February 1984, Reagan announced that the US would study follow-ons (such as a high-altitude ASAT) to meet all objectives on the target list.216 The MHV test program had conducted two successful point-in-space intercepts by the time Congress imposed budgetary restrictions on the program. When the congressional ban on ASAT testing of the MHV lapsed for a brief period in September 1985, the Air Force took advantage of the opportunity for a live-fire test of PMALS. On 13 September, a USAF F-15 piloted by Maj Wilbert Pearson launched an ASAT missile at the P78-1 solar observatory satellite, Solwind. The MHV struck the satellite, shattering it into 250-350 pieces. A stiffer congressional ban was imposed after the test. The Air Force could not test the US ASAT unless the Soviets tested theirs. In December 1985, Air Force SCOUT rockets launched two instrumented target vehicles from Wallops Flight Center. Both reentered before they could be used. Missile Warning and Spacetrack Network. On 21 June 1982, Air Force Chief of Staff Gen Lew Allen, Jr., announced the impending formation of Air Force Space Command, a single Air Force command that would consolidate and coordinate all Air Force space assets and activities. There had been considerable lobbying for a change in the military space organization and creation of an operational space command within the Air Force for some time. In September 1982, Space Command established its headquarters at Colorado Springs, near the headquarters for NORAD. The establishment of Air Force Space Command was the largest of the space organizational changes during the 1980s, all of which reflected the shift in policy recognizing space as a war-fighting medium. In June 1983, the Navy announced that it was creating US Naval Space Command, which it activated on 1 October 1983 and headquartered at Dahlgren, Virginia. Although it consolidated naval space activities, the new Navy command also was intended to ensure the Navy a role in controlling DOD space programs in a unified command at a later date.217 On 23 September 1985 DOD activated the US Space Command (USSPACECOM) at Colorado Springs as a unified command composed of Air Force Space Command, Naval Space Command, and the newly created Army Space Agency (which later became Army Space Command). USSPACECOM has the task of consolidating all assets affecting US space activities. The Air Force also expanded the SLBM network. It completed two AN/FPS-121, modified PAVE PAWS systems, located in the southeastern and southwestern US. The first site is at Robins AFB, near Warner Robins, Georgia, and attained IOC in November 1986. The 9th Missile Warning Squadron (MWS) operates it.219 The second, operated by the 8 MWS, is at Eldorado AFS, near San Angelo, Texas, and became operational on 8 May 1987.220 These radars provide improved radar coverage and detection capability for southern approaches to the US. After activation of the new PAVE PAWS southeast radar, the Air Force deactivated the last of the old AN/FSS-7 radars operated by Detachment 1, 20 MWS, at MacDill AFB, Florida.221 Later, the Air Force reclassified the AN/FPS-85 radar at Eglin AFB, Florida, as a space surveillance radar no longer responsible for the missile warning role. Over a year later, Reagan's NSDD-42 designated the space shuttle as the primary launch system for the US national security space program. It directed DOD and NASA to develop the shuttle into a fully operational, cost-effective system. All government payloads were to be compatible with the shuttle, and DOD was given priority on shuttle launches. DOD and other government agencies were to continue to develop and use expendable launch vehicles (ELV) only until the shuttle could meet all their launch needs. This directive essentially placed all of DOD's launch eggs in one basket--the shuttle. By making the shuttle the primary launch vehicle for all government payloads, NSDD-42 guaranteed NASA all the launch business it could handle. NASA's goal was to achieve a two-flight-per-month routine that would make satellite launches cheaper and make the shuttle a self-sustaining venture. To achieve this goal, NASA needed more shuttles. In the next four years, NASA acquired three more shuttles, Challenger which first flew on 4 April 1983, Discovery which first flew on 30 August 1984, and Atlantis which first flew on 3 October 1985. Even with all four shuttles going at once, NASA was unable to meet its schedule because of technical problems and other delays. Far from the goal of 24 flights a year, the best NASA ever managed was nine flights in 1985. By January 1986, NASA had flown only 24 shuttle missions in 57 months. The backlog of payloads on the manifest was growing steadily. There were few, if any, ELVs available for launch because they were being phased out, and production lines had closed. The pressure on NASA to get the shuttle up when scheduled was tremendous. Then disaster struck on 28 January 1986. The shuttle Challenger exploded some 70 seconds into the 25th flight because of a solid rocket booster (SRB) failure that ruptured the main propellant tank. All seven astronauts aboard were lost as was the $100 million NASA tracking and data relay system satellite. The effect on the US civilian and military space programs was devastating. Virtually all US launch capability was crippled. 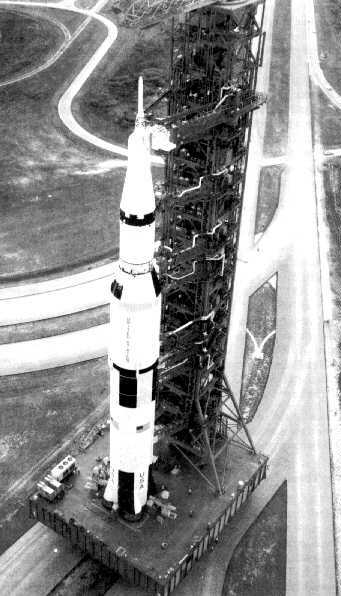 Two Titan 34D failures and a Delta 3920 failure within the same period only compounded the problem. Instead of having assured access, the US had virtually no access to space. The shuttle was down for over two years for an in-depth accident investigation and redesign of the faulty SRBs. During this time, there were virtually no ELVs available. This dire situation continued until the return of the space shuttle in September 1988, the first flight of the Delta II medium launch vehicle in February 1989, and the successful first flight of the new Titan IV booster (originally designed to complement the shuttle) in June 1989. (More information on these and other launch systems is in chapter 4.) 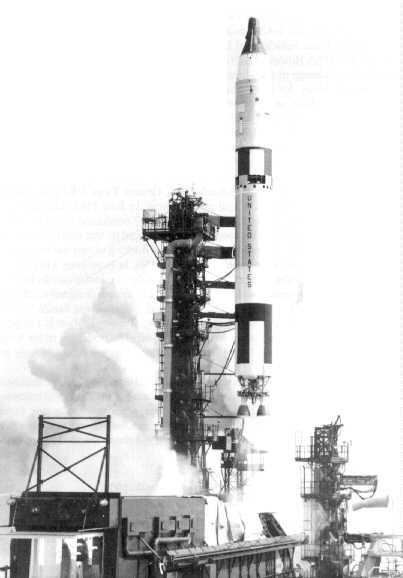 DOD instituted full-scale or expanded development of these ELV systems immediately after the Challenger accident and redirected almost all of its payloads to ELVs. The result has been that now there are virtually no DOD payloads scheduled for flights on the shuttle, and NASA now faces tremendous competition for US civilian and foreign payloads. The focus on and the transition of space policy from Reagan to Bush began when President Reagan signed the NASA Authorization Bill for 1989, which wrote the requirement for a space council into law. The National Space Council (NSpC) came into being when President George H. Bush signed Executive Order No. 12675 on 20 April 1989. In signing the order, the president said that "space is of vital importance to the nation's future and to the quality of life on Earth. "223 He charged the council to keep America first in space. The council is chaired by the vice president, who serves as the president's principal advisor on national space policy and strategy. Other members of the council include: the secretaries of state, treasury, defense, commerce, transportation, and energy; the director of the Office of Management and Budget; the chief of staff to the president; the assistant to the president for national security affairs; the assistant to the president for science and technology; the director of central intelligence; and the administrator of the National Aeronautics and Space Administration. The vice president invites the participation of the chairman of the Joint Chiefs of Staff, the heads of other departments, and other senior officials in the Executive Office of the President when the topics under consideration by the council so warrant. The council's charter is to advise and assist the president on national space policy and strategy, much as the National Security Council does in its area of responsibility. The council carries out activities to integrate and coordinate civil, commercial, and national security space activities. One of the first tasks for the council was to develop a national space policy planning process for development and monitoring of the implementation of the national space policy and strategy. This planning process will guide future space activities and will ensure an integrated national space program by strengthening and streamlining policy for civil and commercial space activities as well as for DOD. Development of the nation's space launch capability and related infrastructure as a national resource is one area under review by the council. Launch capability and infrastructure must accommodate the current and future needs of the space program. A second element the council is investigating is opening the frontier of space by manned and unmanned programs. The commitment is to ensure a balanced scientific program that will emphasize human activities as well as scientific excellence and research.227 A third area is intensification of the use of space to solve problems on Earth such as environmental concerns, treaty verifications, and satellite communications to link people around the globe. Opportunity is the fourth element in the council' s plan for space. Space exploration is crucial to the nation's technological and scientific development and economic competitiveness.228 Capitalizing on the unique environment of space to produce and investigate new materials, medicine, and energy could result in private investment and new jobs. The last element is ensuring that the space program contributes to the nation's security. Ensuring freedom to use space for exploration, development, and security for the United States and all nations is an inherent right of self-defense and of US defense commitments to its allies. The space program needs open-mindedness, practicality, and the willingness of the space establishment to get behind a feasible plan. The National Space Council is an important vehicle for the administration's national space policy. Despite ongoing funding limitations, the space community continues to progress. Space organizations and missions are continuing to evolve and have had modest growth. Recent experience with Operation Desert Storm has highlighted the invaluable contributions of space systems. In fact, Desert Storm was a watershed event for the advancement of space information to the war-fighting personnel. Such systems as the Global Positioning System, Defense Satellite Communication System, Defense Support Program, and Defense Meteorological Satellite Program provided unprecedented levels of data support to the theater. Desert Storm proved that growing reliance on space systems for warning, intelligence, navigation, targeting, communications, and weather was merited. In subsequent chapters and annexes, this volume discusses the effect of space systems support in wars and the role the NSpC will play in shaping our current and future space policy and doctrine. 1. Walter A. McDougall, The Heavens and the Earth: A Political History of the Space Age (New York: Basic Books Inc., 1985), 76. 6. Tom Bower, The Paperclip Conspiracy: The Hunt for the Nazi Scientists (Boston: Little, Brown, and Co., 1987), 27-45. 19. Kenneth Gatland, The Illustrated Encyclopedia of Space Technology (New York: Harmony Books, 1981), 265. 21. Curtis Peebles, Battle for Space (New York: Beaufort Books, Inc., 1983), 48 49. 25. Bill Gunston, The Illustrated Encyclopedia of the World's Rockets and Missiles (New York: Crescent Books, 1979), 58-59. 26. Curtis Peebles, Guardians: Strategic Reconnaissance Satellites (Navato,Calif. : Presidio Press, 1987), 44. 28. Paul B. Stares, The Militarization of Space: US Policy (Ithica, N.Y.: Cornell University Press, 1985), 29-30. 88. Jay Miller, The X-Planes (Arlington, Tex. : Aerofax, 1988), 149-51. 92. Detachment (Det) 2, 3391 School Squadron, "Space Systems Operations Textbook," Peterson AFB, Colo., November 1980, 2-4. 95. Det 2, 3391 School Squadron, 2-20. 97. Det 2, 3391 School Squadron, 2-5. 103. US Air Force Fact Sheet, "12th Missile Warning Squadron," Peterson AFB, Colo., 3d Space Support Wing, Site Support Public Affairs, January 1989, 1. 116. Bill Yenne, The Encyclopedia of US Spacecraft (New York: Exeter Books, 1985), 38. 119. US Air Force Fact Sheet, "Defense Meteorological Satellite Program," Washington, D.C., Secretary of the Air Force, Office of Public Affairs, October 1988, 1. 144. Robert S. Freeman, "Space Program Overview: History," Lowry AFB, Colo., 3301 Space Training Squadron, March 1991,1. 145. US Air Force Fact Sheet, "20th Surveillance Squadron," Peterson AFB, Colo., 3d Space Support Wing, Site Support Public Affairs, January 1991,1. 146. Det 2, 3391 School Squadron, 2-8. 172. US Air Force Fact Sheet, "10th Missile Warning Squadron," Peterson AFB, Colo., 3d Space Support Wing, Site Support Public Affairs, January 1989, 1. 187. US Air Force Fact Sheet, "16th Surveillance Squadron," Peterson AFB, Colo., 3d Space Support Wing, Site Support Public Affairs, January 1989, 1. 189. US Air Force Fact Sheet, " 17th Surveillance Squadron," Peterson AFB, Colo., 3d Space Support Wing, Site Support Public Affairs, January 1989, 1. 191. US Air Force Fact Sheet, "Ground-Based Electro-Optical Deep Space Surveillance," Peterson AFB, Colo., 3d Space Support Wing, Site Support Public Affairs, January 1989, 1. 192. US Air Force Fact Sheet, "Detachment 1, 1st Space Wing," Peterson AFB, Colo., 3d Space Support Wing, Site Support Public Affairs, January 1989, 1. 194. US Air Force Fact Sheet, "PAVE PAWS Radar Systems," Peterson AFB, Colo., 3d Space Support Wing, Site Support Public Affairs, January 1989, 1-2. 218. US Air Force Fact Sheet, "Ground-Based," 1. 219. US Air Force Fact Sheet, "9th Missile Warning Squadron," Peterson AFB, Colo., 3d Space Support Wing, Site Support Public Affairs, January 1989, 1. 220. US Air Force Fact Sheet, "8th Missile Warning Squadron," Peterson AFB, Colo., 3d Space Support Wing, Site Support Public Affairs, January 1989, 1. 221. US Air Force Fact Sheet, "12th Missile Warning Squadron," 3. 223. Brochure, The National Space Council, Washington D.C., undated, 1. 227. Dan Quayle, vice president, remarks to the American Astronomical Society, Arlington, Va., 10 January 1990.